"I am delighted with the IOSH Training Course developed by International Workplace to sit within our very own LMS, giving us the flexibility and comfort for our people being able to study within the workplace and at their own pace. The course was easily integrated into our system and the service received from our Account Manager, Max, was impeccable". International Workplace is the only company in the world with the technical solution to deliver IOSH approved courses via your LMS. You’ll find practical programs, full of step-by-step guidance, and a sharp business focus. Not only that, you’ll also find the highly innovative format and content engages and inspires your staff – critical to getting safety and health embedded across the whole organisation. 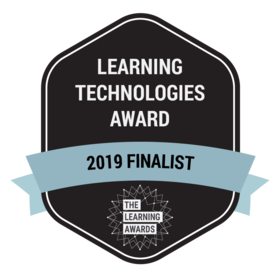 IOSH eLearning courses are fully GDPR compliant and have been designed from the ground up to work on all the most popular SCORM-based LMSs – including Cornerstone, Totara, Kallidus, Moodle-based systems and more. International Workplace is an official IOSH licensed centre with ISO 27001 accreditation, so you have secure access to IOSH approved learning tools, accessible to managers and supervisors via your own LMS. Technical support is in place for LMS Administrators and individual learners, covered in the SLA contract provided. Say goodbye to poorly attended classes, wasted resources and expensive venue hire. Say hello to better training and improved productivity. 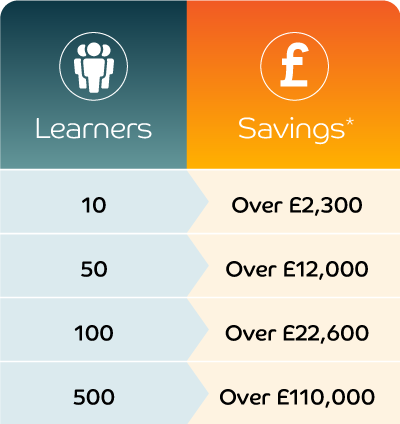 The figures below are a guide to the cost savings achieved by clients using our new IOSH Managing Safely course via their own LMS during 2018. The result is IOSH Training in half the time – at a fraction of the cost of classroom learning. 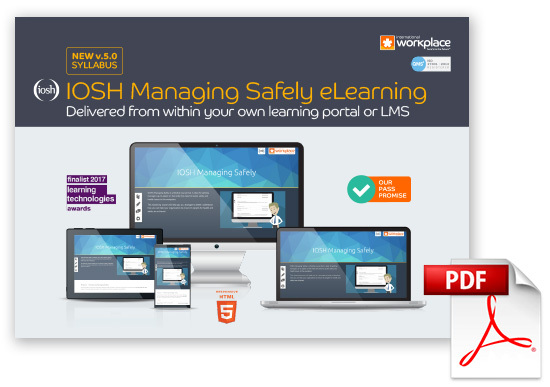 The IOSH eLearning suite is made available via our SCORM-based content connector which acts as a single-sign-on mechanism, connecting users on your learning platform to training materials on International Workplace's learning platform. Installation on your LMS is a simple process - just import the SCORM-compatible zip file and enrol users onto the course as you normally would. Users can then access the course through your LMS using their normal login details. Detailed performance and progress data is maintained through International Workplace's learning platform and we will use this to support users through their course, including the marking of assignments. A summary of final outcomes is reported back to your LMS, and detailed reporting can be made available to managers. *Savings calculations based on in-house training charged at £3000 per course (12 delegates per course), training time charged at £14.80 per hour (UK average hourly rate of pay) – excluding travel & subsistence.